I read today a terrifying statistic about commercial real estate loans. Of the 100 commercial banks with the highest percentage of commercial real estate loans in their portfolios, 42 of them have already failed. In the eyes of the regulators, commercial real estate exposure has become a frighteningly accurate predictor of bank health. No wonder its so hard to get a commercial loan from a bank these days! So what should a borrower or a commercial mortgage broker do? He will probably have to submit his commercial loan request to scores and scores of banks before finding a commercial lender willing to make the loan. The easiest way to submit a single commercial loan application to scores of banks is to use C-Loans.com. C-Loans is a commercial mortgage portal with 750 participating commercial lenders. The user simply completes a four-minute mini-app and then asks the system to display suitable commercial lenders. He then puts a check mark next to six banks and presses, "Submit." Within minutes bankers will be calling him or emailing him offers. And C-Loans.com is free! A banker, preparing to give a speech on the future of commercial real estate lending, called me last Thursday and asked for my opinion. Below is what I told him. The banks are only making a handful of commercial real estate loans. The commercial loans that banks will fund today are those with either 40% down payments or those commercial loans where the borrower maintains huge deposits with the bank. The normal commercial loan to a mere mortal - a regular investor with just 25% to put down - no longer exists. If we want commercial lending to recover to a healthy and vibrant level, a handful of commercial lenders need to start to making an outrageous profit. Once this happens, it is a fundamental maxim of capitalism that, "Outrageous profits breeds competition." Seeing the competition enjoy outrageous profits will tempt the banks back into the market. So are any commercial lenders making an outrageous profit? This year we have seen the birth of several opportunity funds, whose target yields are in the range of 16% to 18%. If these funds achieve their targets, these are the types of yields that will cause some bankers to yearn to return to the market. What is an opportunity fund? An opportunity fund is pooled investment vehicle, like a mutual fund. A hard money broker might put together a mortgage investment fund that consists of the pooled investment funds of several hundred private investors. Although such a mortgage investment fund is very similar to an opportunity fund, there is a difference. The investors in an opportunity fund are typically not private investors, but rather they are institutional investors, such as pension funds, college endowment funds, hedge funds and wealthy family trusts. Opportunity funds therefore tend to be larger than hard money mortgage investment funds, so the deals that these lenders do are also larger. Right now these opportunity funds are financing the purchase and renovation of REO's (bank foreclosures) and the purchases of discounted notes. They are also helping large developers buy out their current lenders at a substantial discount (discounted pay-off's). You can apply to scores of hard money mortgage funds and opportunity funds by using C-Loans.com. I am writing tonight from the Hard Rock Casino in Las Vegas, where I spoke on the chaos in the private money commercial loan market at the Crittenden Commercial Financing Conference.Ouch! The news on the commercial mortgage financing front was grim. The Royal Bank of Scotland recently went to market with a CMBS (commercial mortgage-backed securities) offering totaling around $600 million. The good news is that the offering was oversubscribed 2.76 times. The bad news? There were only six loans in the pool, meaning the average loan size was around $100 million. Such huge loans seldom fall into the laps of guys like you and me. Could smaller CMBS loans soon become available to us mere mortals? From the sounds of it ... no. The only commercial mortgage deals that appear to be closing are Fannie Mae, Freddie Mac and HUD apartment loans. The delinquency rate on such loans is still tiny. Apartment owners at the conference reported that over the last year their occupancy rates have increased from 85% to well over 95%. Apparently it has become fashionable to rent. The only apartment construction loans that are being made are being made under one of the HUD programs. The problem is that these loans took 9 months to process at the best of times, and now the backlog has grown to a year. To slow down the number of apartment construction loan applications, HUD recently increased its required debt service coverage ratio from 1.10 to a whopping 1.30. This forces the developer to contribute 15% to 20% of the total project cost. Nevertheless, HUD is still the only game in town. I spoke at length to a number of the country's top commercial mortgage brokers, and they are dying. A number of them confessed that they had not closed a loan in 12 to 18 months! This is a tough time to be a commercial loan broker. Fortunately Blackburne & Sons is a private money lender, and we are still closing deals. Need a commercial loan? Please call me, George Blackburne, at 574-360-2486, or email me at george@blackburne.com. I have been in the commercial mortgage business for 30 years now, and these are the worst of times. I used to think that 1982 was bad. In 1981 Fed Chairman Paul Volcker, determined to break the back of inflation, raised the prime rate to 21.5%. Surprisingly, borrowers still sought commercial loans. Real estate was still appreciating, and cash-hungry borrowers were still willing to accept a commercial loan at 16% to 23%. At the same time, the banks and thrifts (savings and loan associations) would still consider a commercial loan, if the commercial loan made sense. Nevertheless, business was horrible. But as bad as things were in 1981, the commercial loan market simply disappeared in 1982. By then the Fed had broken the back of inflation. The inflation rate tumbled from 16% to less than 6%. At the same time, the Fed started to quickly ease. The prime rate began to fall at the rate of 1/2% to a full 1% per month. I hate it when interest rates fall! No one wants to borrow. Why borrower at 15% today when the rate will be 14% or maybe even 13% in six more months. So borrowers procrastinated. Our commercial loan office became a tomb. 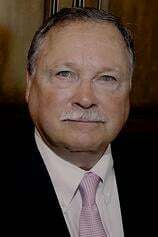 I called my old buddy, Bill Owens of Owens Financial Group, and begged him to tell me what I should do. "George," Bill commented with his wry humor, "sometimes all you can do is go fishing." For the rest of the year commercial lending activity was almost non-existent. But at least in 1982 the problem was just on one side. Borrowers were procrastinating. What about today? "It's deja vu all over again." Except this time, neither lenders nor borrowers want commercial loans. The banks don't want any more commercial real estate loans for obvious reasons. They've lost tens of billions of dollars as thousands of commercial loans nationwide have gone bad. In addition, commercial real estate has already fallen 35% to 40% in many areas. Many experts expect the declines to get worse. Borrowers don't want commercial loans because they are not investing. Why buy commercial real estate today when prices will only be cheaper tomorrow? Business owners aren't pulling cash out of their buildings because they are already cutting back on their existing manufacturing capacity. Why invest more in plant and equipment? "But George, what about the hundreds of billions of dollars in ballooning commercial loans that we keep reading about?" The banks and conduit loan servicing agents are simply extending these loans for a few years. Why foreclose on an otherwise performing loan? 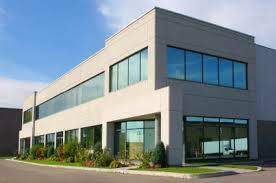 Commercial lenders don't need any more commercial properties to manage. So where does this leave us? The commercial loan market is now frozen to a standstill. Very few new commercial permanent loans are being written, and commercial construction lending is essentially non-existent. 1. If it's a bankable deal, you can submit your deal in just four minutes to hundreds of commercial lenders by using C-Loans.com. Since the start of the Great Recession, commercial real estate lenders have become more cautious. Before the economic downturn, commercial lenders would regularly make commercial loans to 75% loan-to-value on office buildings, retail centers, and industrial buildings. In fact, in 2006 and early 2007 some conduit commercial lenders were even making commercial mortgage loans as high as 80% loan-to-value. Today few commercial lenders will make new permanent loans much higher than 60% to 65% loan-to-value. In addition, they will not allow sellers to carry back a second mortgage behind their new first mortgage loans. This means that real estate investors wishing to purchase commercial buildings must now put down 35% to 40% of the purchase price in cash. No surprisingly, far fewer commercial properties are changing hands. There is a technique, however, that commercial real estate investors can use to reduce the size of their required down payments. Instead of carrying back a second mortgage on the commercial property being purchased, the seller can carry back a second mortgage on a different piece of commercial property owned by the buyer. For example, let's suppose that an investor wants to buy a commercial center owned by a seller. The parties agree on a price of $2 million. Without using this technique, the investor would probably be required by the bank to put 40% down - or $800,000 in this example. That's a lot of dough. However, the parties might make the following agreement. The investor (buyer) will put down $500,000 in cash, which is still a significant amount. We, in the business, might say that the investor (buyer) has more than enough "skin in the game" to assure that he is motivated to make his new commercial loan payments and maintain the property. The seller - and this is the key - could carry back a second mortgage on an apartment building, a property different from the one being purchased, owned by the investor (buyer). This arrangement would probably pass muster with the vast majority of commercial lenders today. Need a commercial loan right now? You can apply to hundreds of commercial lenders with a single, four-minute, mini-app using C-Loans.com, the nation's most popular commercial lender portal. And C-Loans is free! Let's suppose a commercial lender - a bank - makes a $2 million commercial loan to a developer on a residential subdivision. The developer uses the proceeds of this commercial loan to obtain an approved subdivision map, to install the horizontal improvements (streets, curbs, gutters, water, sewer, power, etc.) and to market the 100 residential home sites. Now the developer is done, and he is ready to sell off his first residential lot for $40,000. But wait. The lot buyer isn't going to fork over his $40,000 unless the developer is prepared to hand over the lot free and clear of any mortgages. The bank has a $2 million loan against the lot (and admittedly the other 99 lots). How do we get rid of the $2 million bank loan with the proceeds of just a $40,000 lot sale? The sale will be accomplished using a partial release clause in the loan documents. A partial release clause is an agreement between the commercial lender and the borrower whereby a mortgage that blankets two or more parcels will be released from a particular parcel upon the payment to the commercial lender of a previously-agreed amount of money. For example, "The commercial lender agrees to release its mortgage against residential lot number 17 upon the payment $20,000." The bank gets $20,000 from the sales proceeds of lot number 17 (a nice culs-de-sac lot), and the developer gets to pocket the remaining $20,000 as his profit. But be careful here. What if this new residential subdivision has just 15 culs-de-sac lots and 10 nice lots with views? What if the rest of the lots are stinky? Suppose the developer is able to sell all 25 premium lots for $40,000 each and gives the bank half the proceeds. That's $500,000 for the bank and $500,000 for the developer. Now the bank is owed $1.5 million, and its loan is secured by the 75 remaining lots. What happens if the non-premium lots cannot be sold for any more than $18,000 each? If the initial release price per lot was set at $20,000 the problem soon becomes apparent. The developer cannot sell any of the remaining lots. Even if the bank cooperated and let him sell the lots for $18,000 each, this would only bring in another $1,125,000. The developer would still end up owing the bank $375,000, and all of the collateral would be gone! Okay, obviously the bank needs to do something in order to protect itself. One way the bank will protect itself is that it will ask the appraiser to assign an anticipated sales price per lot. The release price per lot will no longer be a uniform $20,000 per lot. Instead, the premium lots might have a release price of $30,000 each and the non-premium lots might have a release price of $17,000 per lot. But what if some of the lots cannot be sold for any reasonable price? What if consumers pick over the subdivision and leave 35 non-premium lots unsold? The developer would still owe the bank almost $600,000 and the bank would only have as collateral a bunch of undesirable lots. To make sure that the bank does not end up with a bunch of unsalable lots (or condo's), the typical partial release clause will have a provision whereby the developer must pay down the construction loan or land development loan by 115% to 125% of the release price before the bank will release a unit. Therefore, in our example, the developer will have to pay down the land development loan by 120% of $30,000 ($36,000) in order to get a premium lot (culs-de-sac or view lot) released. This way a developer does not get to keep a lot of the profit and leave the construction lender with a bunch of crumby, unsellable lots or units. The days of long-term, fixed rate commercial loans are gone for awhile. Sure, a few life companies will still make commercial real estate loans between $5 million to $25 million at a long term, fixed rate; but commercial loans from life insurance companies seldom exceed 55% LTV today. Most large, commercial loans getting funded these days are floaters - adjustable rate mortgage loans - on standing properties. Very few large commercial construction loans are getting funded these days, unless the loan is an apartment construction loan from the FHA. Large land loans (over $2 million) are essentially impossible today too. No one is making them. In the years leading up to The Great Recession, large land loans were usually made by hard money lenders with large commercial mortgage pools. Unfortunately, almost every large commercial mortgage pool in the country is now either in bankruptcy or winding down. The only large commercial loans being made today are loans on standing and almost fully-leased commercial properties. When these loans are made, they are using being made by the money center banks as floaters. Floaters are adjustable mortgage loans with a term of usually only five years. They are usually readjusted monthly according to changes in one-month LIBOR. A typical margin is 300 to 400 basis points. The borrower will usually want some sort of interest rate ceiling or cap. The lender will usually want some of floor on the loan. These interest rate caps cost money - usually an extra point or two. Sometimes a borrower can "pay" for his cap by agreeing to a floor. For example, a borrower can pay two extra points for a 4% ceiling; but if he agrees to a floor equal to the start rate, the lender might waive the two-point cap fee. A loan with both a cap and a floor is said to have a collar. If you need a large commercial loan today on a standing property, please write to me, George Blackburne, at george@blackburne.com or call me at 574-360-2486. Is Extend and Pretend Finally Over? It is very rare for a commercial lender to make a fully-amortized commercial loan. Most commercial real estate loans are amortized over 20 to 25 years, and they have a large balloon payment due after either five or ten years. When Lehman Brothers collapsed in September of 2008, the market for commercial mortgage-backed securities (CMBS) also collapsed. At its peak, over half of all commercial real estate loans (by dollar volume) were originated by conduits to enter the pipeline to become commercial mortgage-backed securities. Then, without warning, "Boom!" (as John Madden might say) the entire CMBS industry suddenly disappeared. Not surprisingly, since September of 2008, it has become far, far more difficult for borrowers to refinance their ballooning commercial mortgage loans. Rather than force their borrowers into foreclosure and bankruptcy, the securitization trusts and commercial banks, which own most of these maturing commercial real estate loans, have been either extending their loans or patiently forbearing from filing foreclosure. This industry-wide practice has become know as extend and pretend or delay and pray. The "pretend" part of that phrase acknowledges the reality that a vast number, if not a majority, of all commercial real estate loans are greatly over-leveraged. Suppose a five-year commercial real estate loan was written in late 2004 at 75% loan-to-value. 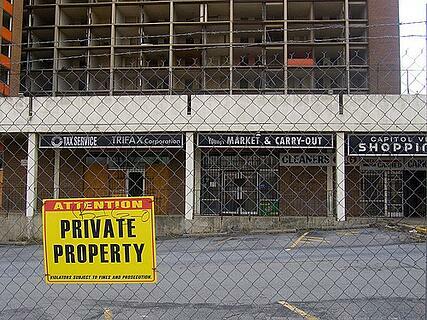 Commercial property values since 2004 have probably fallen in the neighborhood of 35%. This ballooning loan has therefore probably soared from 75% LTV to around 113% loan-to-value. As long as the borrower keeps making his monthly payments, however, commercial real estate lenders across the country have been extending their loans and pretending as if these loans were still adequately secured. Is this a crazy strategy for the commercial banks? No. This is a perfectly rational decision. The same thing happened to Blackburne & Brown, our hard money commercial lending company, during the commercial real estate smash-up in California in 1991. For years we had made first mortgages on commercial real estate up to 65% loan-to-value. When commercial real estate values in California fell by 45%, two-thirds of our commercial loan portfolio was upside down. Our borrowers owed more on the property than the commercial real estate was worth. Nevertheless, most of our commercial real estate borrowers just continued to make their payments. By 1994 commercial real estate values had recovered, and our most of our commercial loans were back to being right-side up. No one should find this terribly surprising. Poor people don't own commercial real estate. Rich people do. And most of these wealthy commercial borrowers could afford to just keep making the payments. Therefore I have no disagreement with those securitization trusts and commercial banks who have elected to extend and pretend or delay and pray. However, the commercial loan officers at Blackburne & Brown are starting to report that more and more banks are finally demanding that their commercial real estate borrowers pay off their ballooning commercial real estate loans. They will extend and pretend no longer. Suppose one of your commercial borrowers has a ballooning commercial real estate loan of $750,000 but he can only qualify for a $600,000 refinance. Blackburne & Brown Equity Preservation Fund may be able to help. The Fund will invest $150,000 in your borrower's property and pay down his ballooning loan from $750,000 to $600,000. In return, the fund will take a share of the ownership of the property. Your borrower will still run the property. Got a commercial real estate deal where you need equity? Please email E.J. Ridings at ejridings@gmail.com. A buddy of mine recently sent me an interesting email that says it all about placing commercial loans today. ... The markets have been turned upside down. There is a real disconnect today with what the borrowers want and think they can get and what they can realistically can get from the lending community. We just funded a $6.5 million loan for a self-storage project at a 6.95% rate for ten years. The borrower wanted a NON-recourse loan. While there were several hundred lenders in that market for that product 18 months ago, today there are none. The exception, the life companies, are at 55% LTV. Our deal was 61% LTV without 12 months of stabilized income. The life companies would not even take a hard look at the deal. The borrower was VERY well qualified, with lots of cash and a great financial statement. We went to over 120 lenders who would make a loan on this property type in So Cal and found only ONE who would do the deal. The deal closed, and the lender has now eliminated self-storage as a product they will lend on. This mortgage broker had to submit his commercial loan to 120 different commercial lenders before finding the one commercial lender who would do the deal. He didn't quit. To his credit, he pushed on and on until he found a home for the deal. You will probably have to do the same with your own commercial loans. I have often said, "Sometimes placing a commercial loan is as difficult as finding a wife for your best friend. You can set him up with a lovely girl that is the right age, the right size, the right level of beauty, and the right religion ... and still there is just no chemistry or fireworks. All you can do is keep setting your friend up with new ladies. It becomes a numbers game." So if you are trying to place a commercial loan with a bank or a life insurance company today, you may have to submit your commercial loan to 50 to 100 commercial lenders ... until you find just the right chemistry.